Today’s Pokémon news: a really pixelated April Fool’s joke, Latios and Latias set to arrive later today, class action lawsuit settlement about the Pokémon GO Fest, various tidbits, and some tutorial videos! As an April Fool’s Joke, Niantic went and replaced all the 3D models of Pokémon by 2D Sprites in the Pokémon list, Nearby, and the Pokédex. If you like the 2D sprites, then make sure to enjoy them as much as you can, as they will disappear on April 7th! 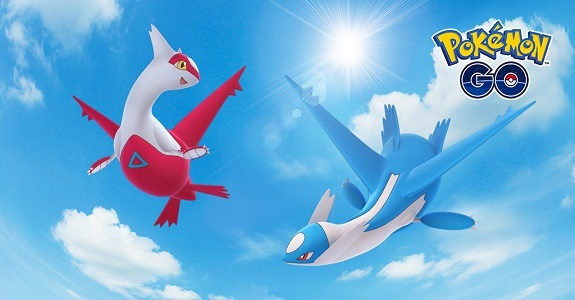 Looking to get Latios and Latias in Pokémon GO? Well, you will be able to find them pretty soon… starting later today, in fact! They will start appearing in Raid Battles in different regions of the world, and will move to a different region after a while. To help you catch Latias and Latios, Pokémon with moves that are particular strong against Psychic and Dragon types will be appearing in Raid Battles: Tyranitar, Mawile, and more. Remember the Pokémon GO Fest held in Chicago last year, that ended up in a complete fiasco? Despite offering full refunds to players, Niantic wasn’t able to escape the inevitable class action lawsuit (not surprising since the refund didn’t cover transportation and other related costs). In total, the company will pay $1 575 000 to reimburse various costs for attendees (including airfare, hotel, parking fees, car rental, mileage, tolls, and more). By May 25th, an official website will be launched, allowing attendees to get their money from the settlement (they will be notified by email when it goes live). Should there be any money left after all claims and lawyer fees have been processed, then the remaining balance will be split evenly and donated to the Illinois Bar Foundation, and Chicago Run (a nonprofit organization). Niantic will not get back a single cent from the $1 575 000 set aside for the lawsuit settlement. Last week end, Murkrow started appearing more frequently in the game, with the Shiny variant spotted by various players. If you’re interested in getting this particular Pokémon, now is the time!